Frequently asked questions are found here. Click on a question to open or close the answer. We have the ability to engrave personal items such as watches, knives, etc. Rotary engraving is possible if the surface area is flat and 12"L X 8"W X 4"D. Laser engraving on flat surfaces is available on items under 24" L X 12" W X 7"D. Laser engraving is available on some rounded products such as tumblers, mugs, glassware, etc. We will need to look at the item to determine if it is laserable. To place an order, you may fill out a contact sheet on our website, send an e-mail, or stop by our location. To ensure accuracy of your order, all engraving information must be in electronic or physical writing. We cannot accept engraving information over the phone, but you are free to call with any questions. 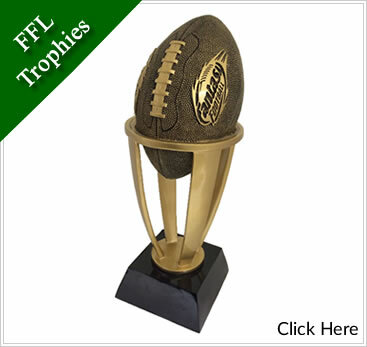 Engraving is included in the pricing (or free) for anything supplied by Noblesville Trophies. Prices will vary for any out-of-store items. Due to the high volume of available products, only select items are listed on the website. Name badges and other products are available, so feel free to call or visit our location for more information. What is your normal wait time? Turnaround typically takes 24-48 hours for most orders. Order completion may vary from based on volume and availability of some or all items in your order. If you need an order earlier than this, please call, e-mail, or visit our location for more information. What method(s) of payment do you accept?